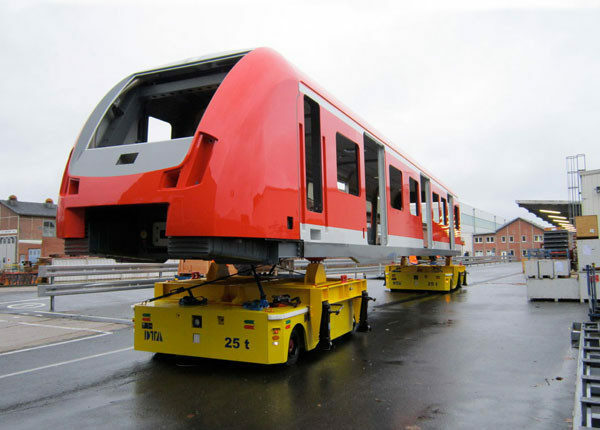 SMART SOLUTIONS FOR ON SITE TRANSPORTATION. 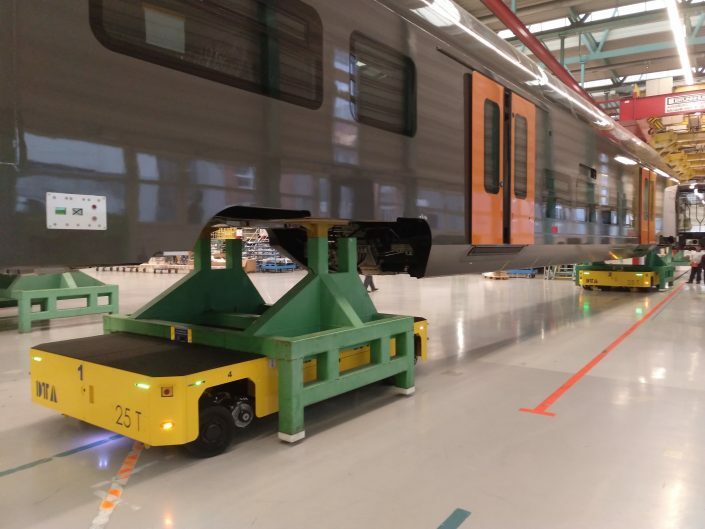 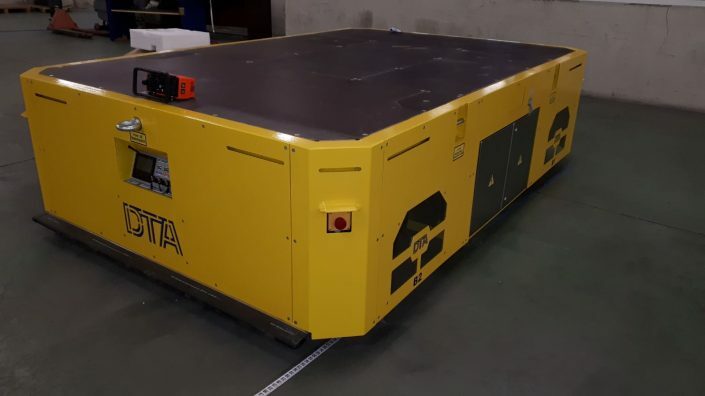 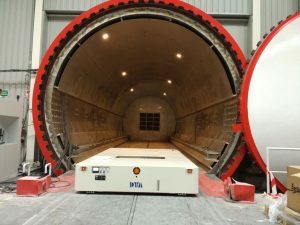 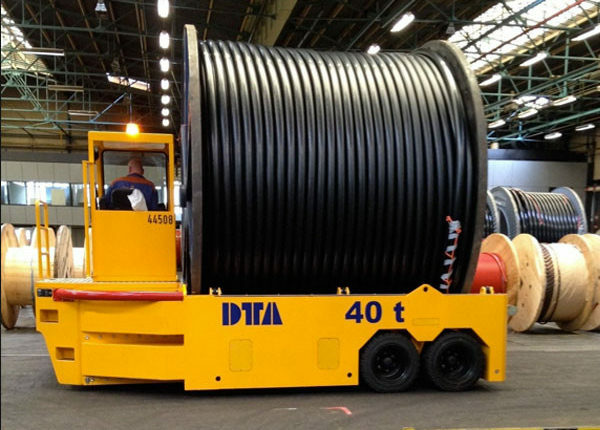 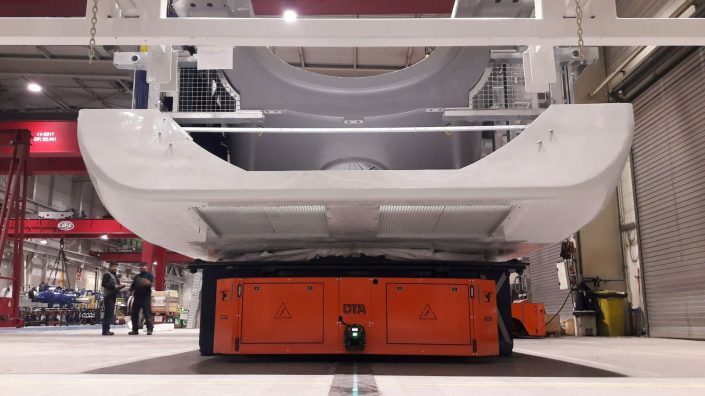 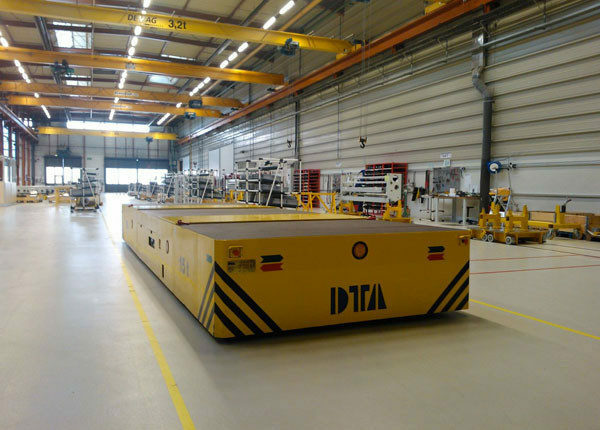 DTA is the first company specialized in design and manufacturing of towed vehicles and self-propelled transport systems to move loads inside plants from 1 to 1.200 tons. 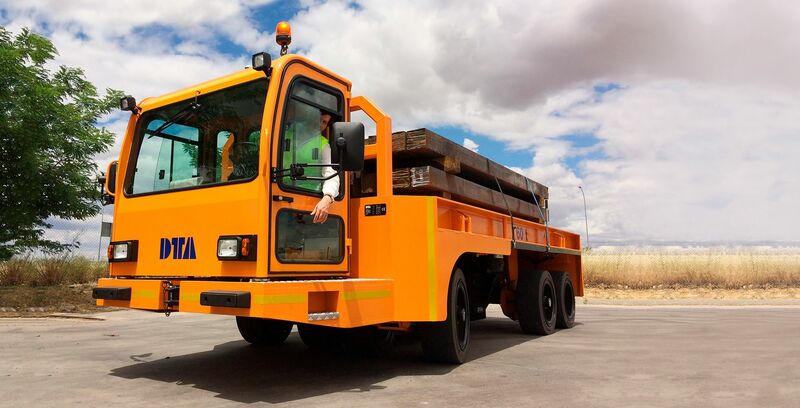 Since 1972, our transporters have been used in different sectors like windmill, shipbuilding, automotive, aerospace, iron and steel, port sector industry and precast concrete. 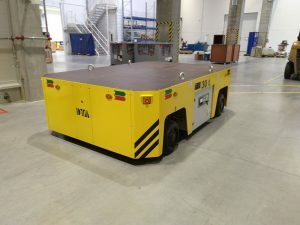 Electric transfer cart for handling nuclear components. 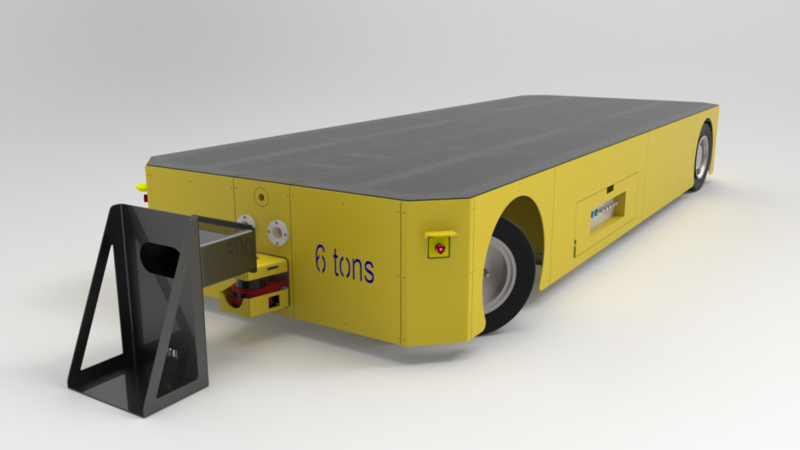 10 tons electric transfer cart with scissors lift up to 3 meters for handling steel plates on cruises refittings. 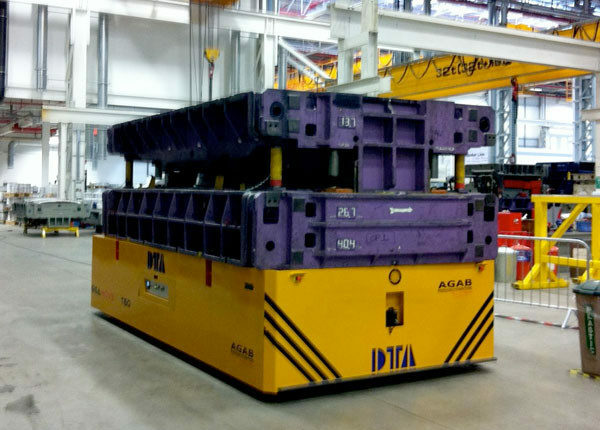 AGV 25tons for handling steel plates. 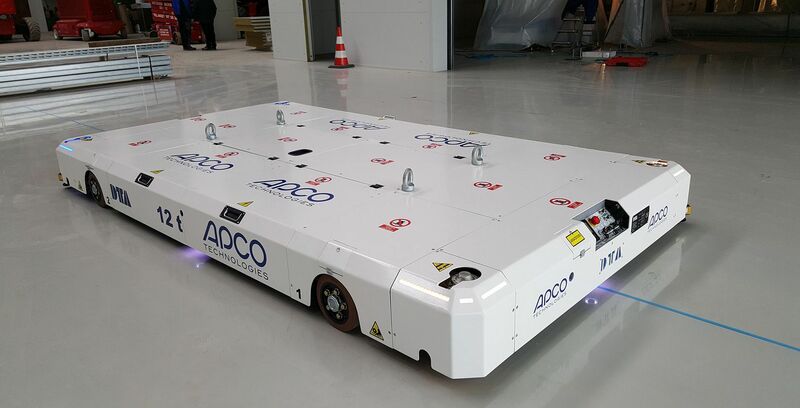 25 tons battery driven transporter for working in tandem and handling car bodies. 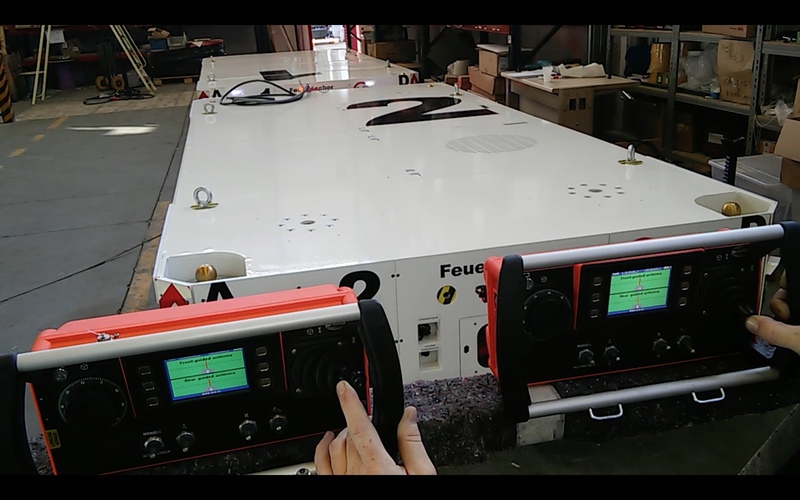 Set of 4 AGVs for handling aerospace fuselage. 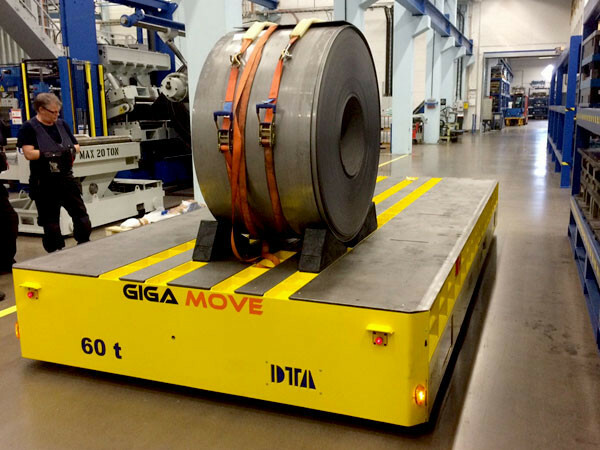 Motorized transport vehicle to molds transfer. 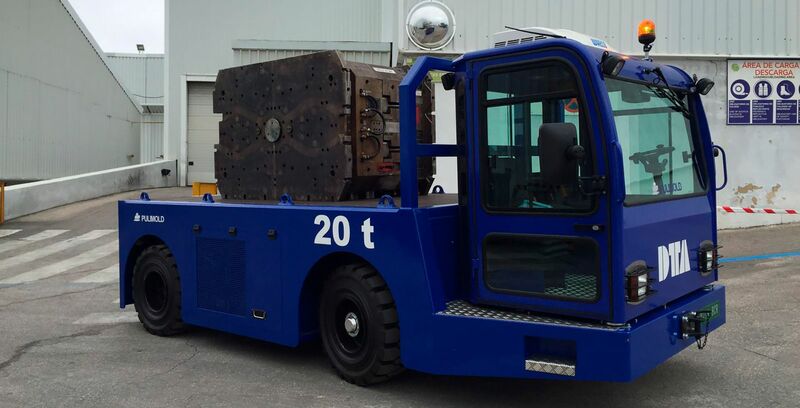 60 Tons diesel transfer vehicle to molds transfer. 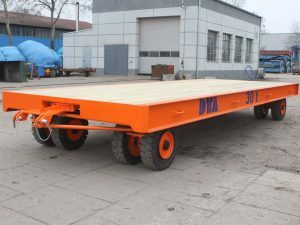 Electric platform to move molds. 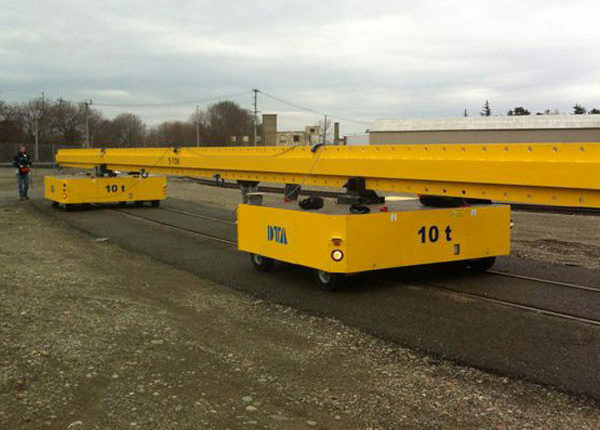 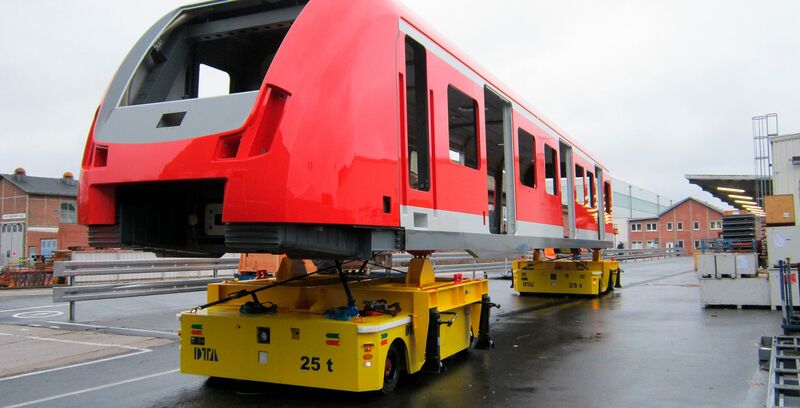 Electric platform to move train bogies. 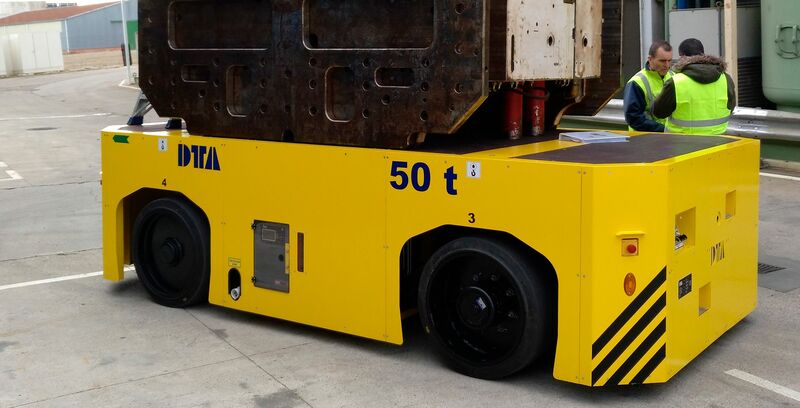 We supply different vehicles and AGVs to transfer coils, billets, steel and -rolling rolls. 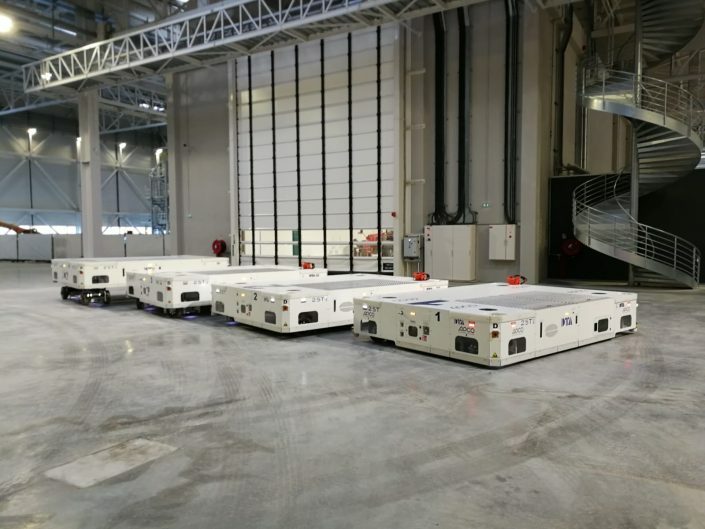 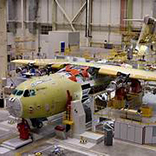 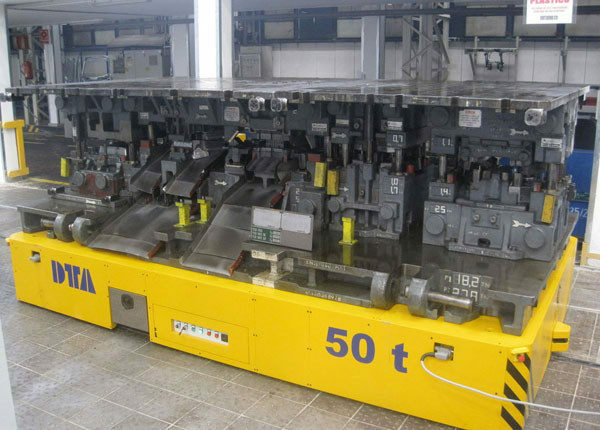 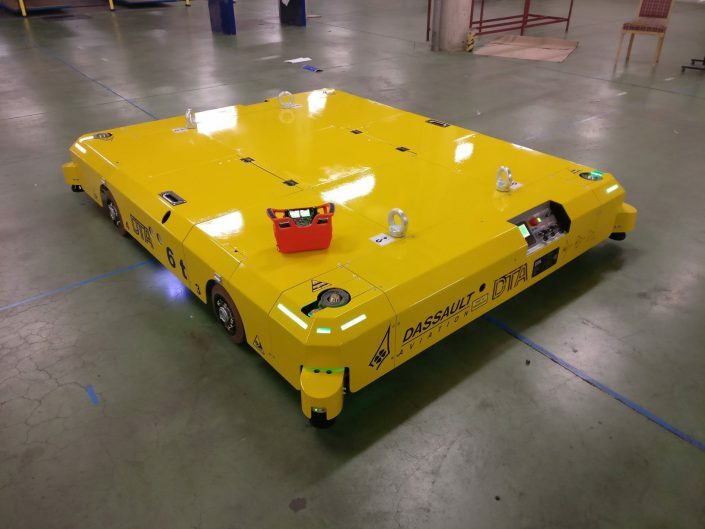 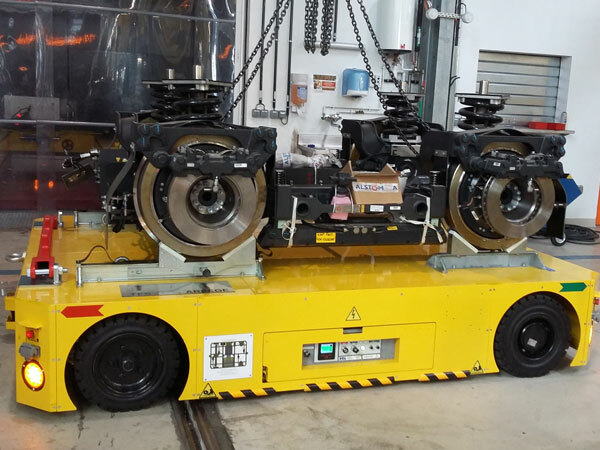 Our AGVs are present in this sector to move fuselage parts as well as assembly lines. 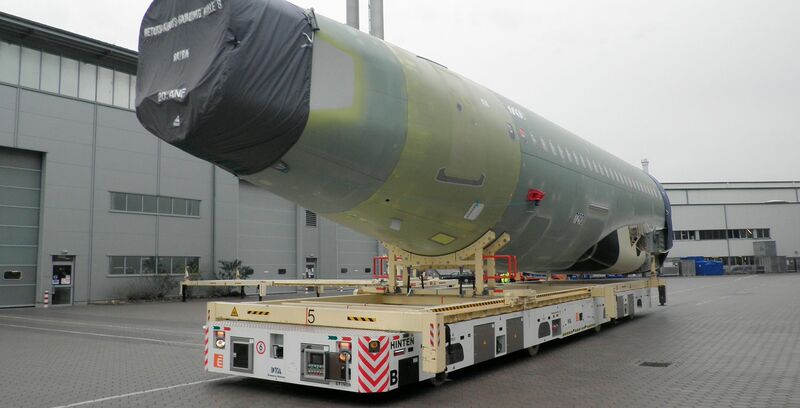 Most of aircrafts manufacturers and subcontractors trust in our solutions to transfer their products. 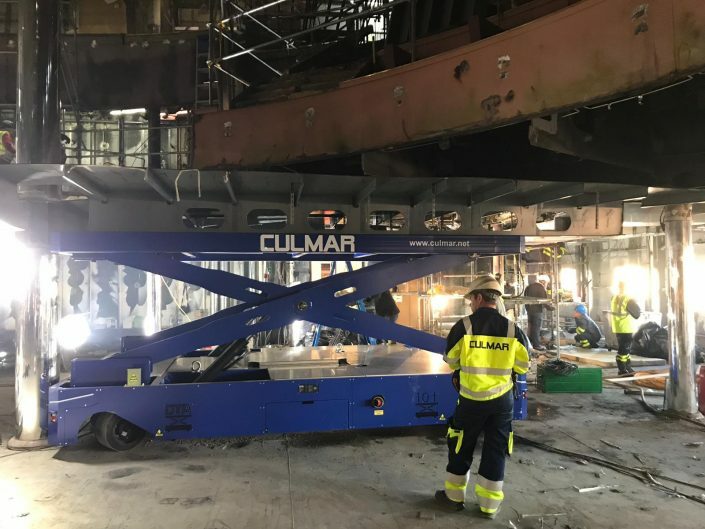 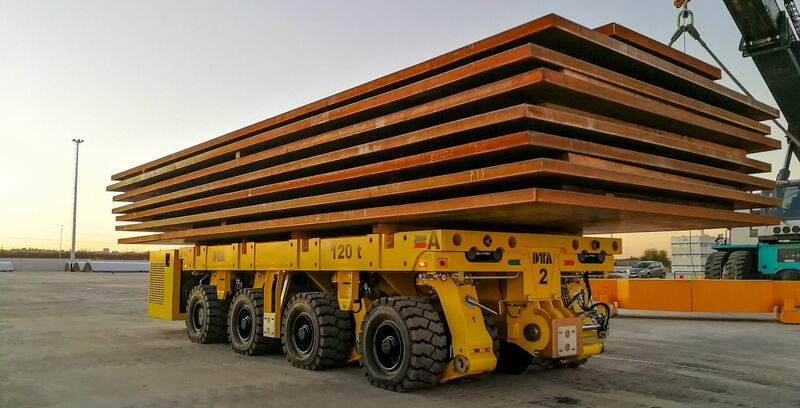 We have more than 45 years of experience supplying transfer vehicles as well as other system solutions to move steel blocks, plates, motors, etc. 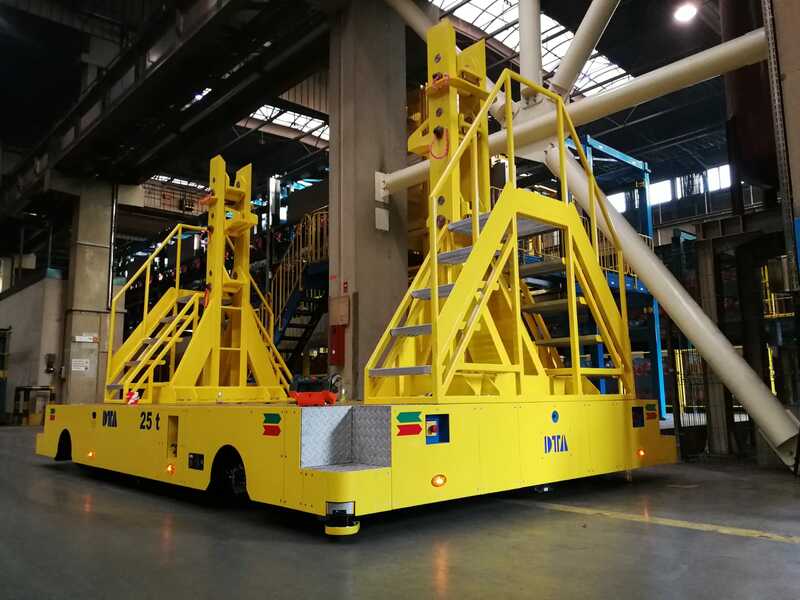 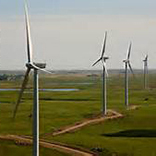 Our platforms are currently present in this sector to move nacelles and towers of the most import manufacturers of wind turbines towers worldwide. 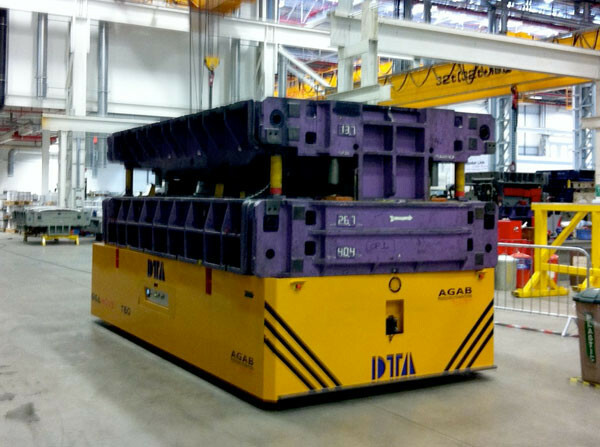 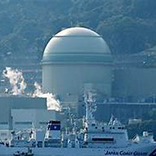 Many of our AGVs and electric vehicles move containers and radioactive loads. 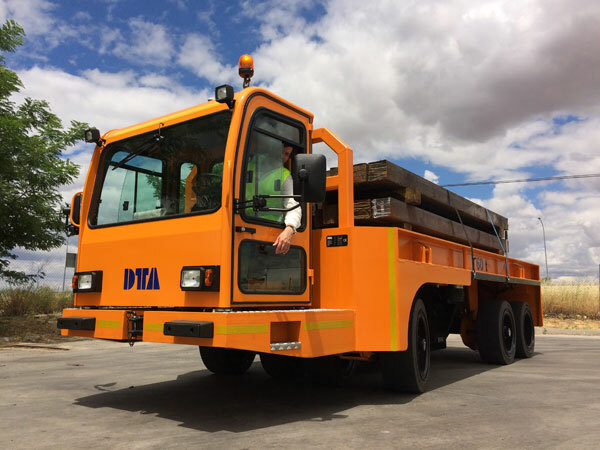 We produce sturdy vehicles which comply the most demanding regulations in the industry to transfer the load with no risk for the operator. 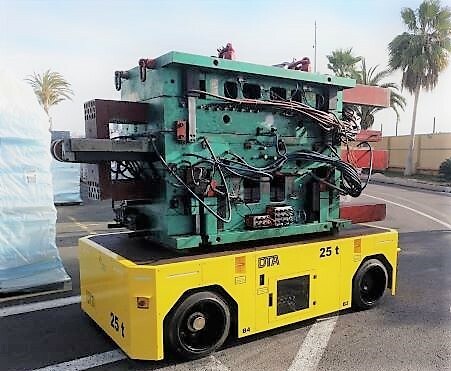 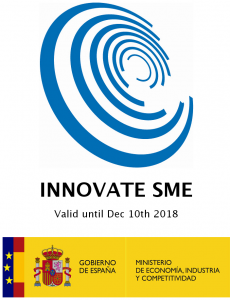 DTA Sales Representatives was born in 1972 aiming to provide service and technical advice specialized in naval engineering specially for shipyards in Spain. 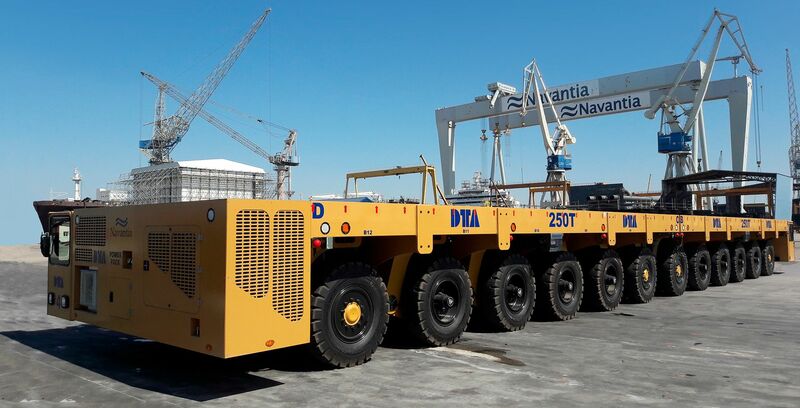 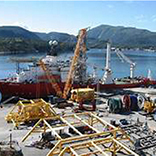 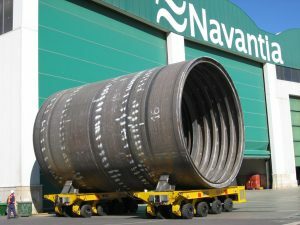 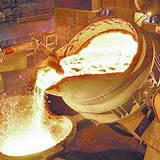 With the passage of time, DTA became sales representative of brand companies within the shipbuilding sector, as well as many other commercial brands specialists in load transfer in different sectors within the heavy load industry (iron and steel, wind, automotive, shipbuilding, aerospace, etc).